What is a Big Picture Loan? Big Picture Loans is an online tribal lender that provides installment loans and personal loans to consumers in various states across the USA. They state on their website that 90% of their applicants get approved by the very next business day. They also mention that it only takes 5 minutes to complete the application process. We decided to see for ourselves if their so-called guarantees could deliver. Below you’ll find our full Big Picture Loans review with the details about the loan we took out with them along with a list of 8 better loans like Big Picture Loans. We compared their services with other similar companies and we found multiple lenders that offer better financial services online. The top alternatives are listed at the end of our Big Picture Loans review. Upon first opening the Big Picture Loans website, you’ll instantly notice huge promotional content stating how quick and simple the application procedure is. I put that to the test and decided to apply for myself. Yes – I actually applied and got a loan with Big Picture Loans for the purpose of writing this review. They state it only takes 5 minutes to complete – it took me 4 minutes! I’m really well-organized though and all of my info was right in front of me. If you need to dig around for the information they ask you, it could easily take 30 minutes to an hour. However, any organized person who has their data and personal information in front of them (or memorized) can easily get the application form completed within 5 minutes. 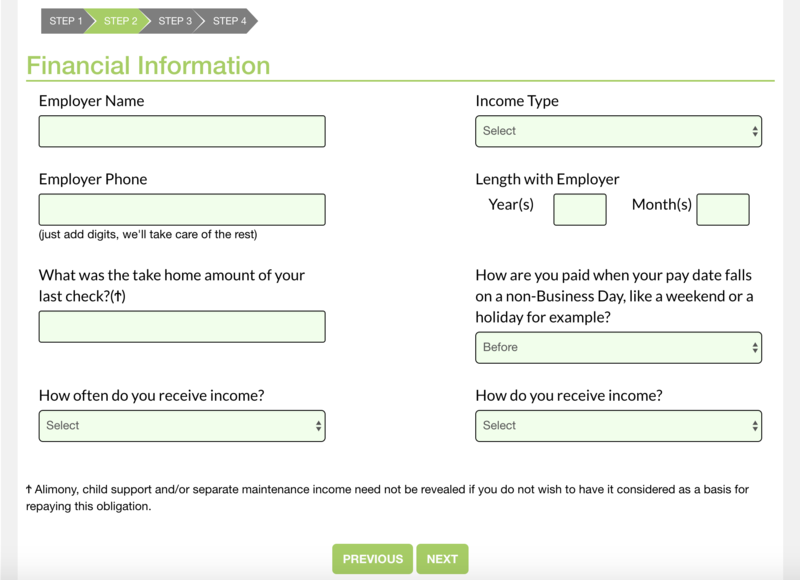 After completing the form, I had to wait for them to provide me with my loan approval or denial. This only took about 2 minutes. After 2 or 3 minutes, I was presented with a screen that congratulated me on the approval of my new loan. This approval screen also presented me with the qualifying loan terms. I was able to see the interest percentage that I would pay, the payments I would be making, which dates they would be taken from my bank account and the total amount that I was approved for. I liked the terms offered to me so I went ahead and accepted my $800 loan with 4 months to repay it at an APR of 783%. I repaid the loan in full the following week – I didn’t actually need the money. Fortunately, Big Picture Loans does not charge early repayment fees, but their incredibly steep APR fees ended up costing me $62 in interest after having the money in my account for just about a week’s time. I can’t even imagine how expensive it would have been if I took the whole 4 months to repay it. Meh, I’ll go ahead and imagine it for the sake of this article – it would have cost me roughly $1920 in total repayments. This means I would have paid $1,120 more than they gave me. I’m glad I repaid it sooner. Keep in mind that even if you meet all of these criteria, you may not be approved. These are the minimum eligibility requirements, but they may request more requirements after processing your application form. HonestLoans is one of the top rated short-term lenders on our platform. Not only do most of our financial experts and editors love this lender, but so do our visitors. HonestLoans is rated 8.9 out of 10 at the moment of writing this review and our visitors actually gave it an total average score of 9.5 out of 10. There’s no need to wonder why we picked it for our number one alternative to Big Picture Loans. With loans ranging from $200 to $2,5000 and with APR rates of 200% to 2,290%, they are right on par with the best of them. HonestLoans has been creating a ton of fierce competition for top lenders such as CashNetUSA and even loans like Lendup, which have a massively popular reputation, have been losing customers to this newcomer. 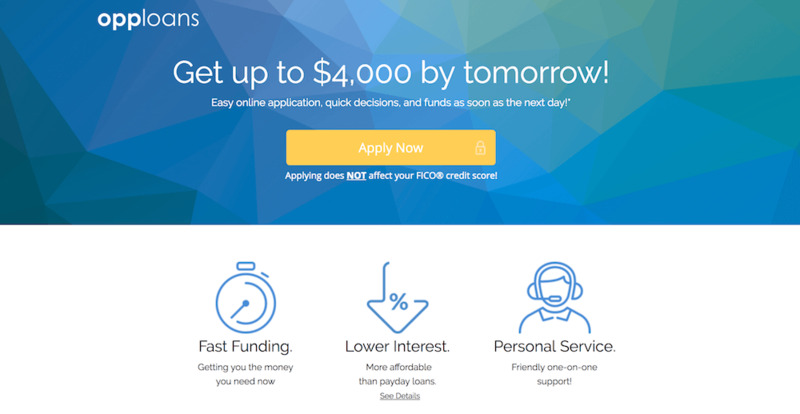 If you need one or two thousand dollars – HonestLoans is a sure thing! Among the best lenders offering larger loans than $1,000, OppLoans really shines. This short-term loan provider doesn’t limit you to just a few hundred dollars, you will actually be able to get as much as $4,000 with a single loan. The personal loans available at OppLoans have a max duration of 36 months (3 years), so it’s quite lengthy – giving you loads of time to repay it. With traditional payday loans or even installment loans, a $4,000 loan lasting 3 years would end up costing a fortune, but OppLoans has interest rates that are far lower than other similar lenders. OppLoans loan rates vary between 59% to 199%, making it quite reasonable. If you apply today, chances are you’ll have the money in your checking account by tomorrow night. LendYou loans are among the best solutions worth considering if you need a large amount of money quickly. They can provide you with loans as high as $15,000 with some exceptions reaching even higher – all the way up to $35,000. LendYou has been around for a few years and they’ve definitely managed to build a small, yet positive reputation. They offer a variety of loan types, so you can really get the exact type of funding that you’re looking for. LendYou has “Cash Advances”, which last no more than 35 days, they have “Installment Loans”, which last a maximum of 60 months and they also provide personal loans for a maximum duration of 60 months as well. LendYou sends the money within 1 to 2 days once approved and they have one of the highest approval rates in the industry – this means they approve bad credit too! 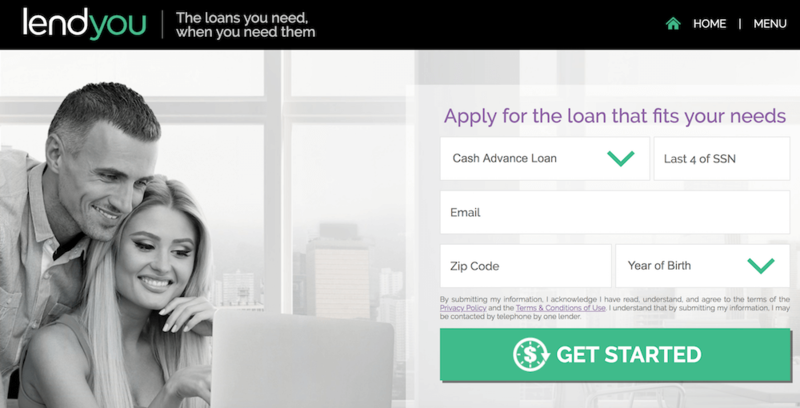 RubikLoan may not be as big as loans like Speedy Cash, CashNetUSA and LendUp, but it’s definitely an OG lender who’s been around for nearly a decade. In the payday loan industry – that’s ancient. You can’t stick around that long if you’re a fraud, so RubikLoan is definitely doing something right. They have competitive APR fees and they allow you to borrow a decent amount of money as well – $100 – $5,000. Fast next-day funding is one of the main benefits of choosing RubikLoan – they are well reputed for wiring the funds very rapidly to their clients. If you’re in the market for bad credit loans with easy approvals, this is where you’ll want to apply. They accept individuals with scores as low as 350. Go ahead and browse their website, they definitely have a platform worth looking into. I couldn’t give you a list of 8 old-school lenders and ignore all new competition. The online loan industry is growing faster than ever before, so there are tons of diamonds in the rough worth discovering. Slam Dunk Loans is one of the new loan sites online that provides a superb money borrowing experience. 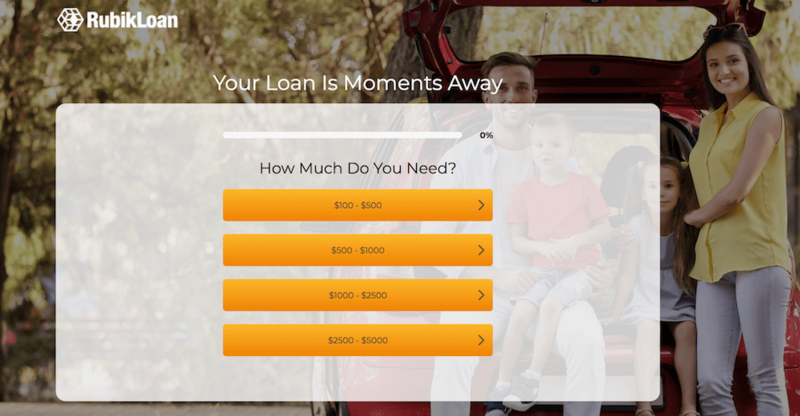 Whether you want to get a $100 payday loan or even if you’re looking for a $2,500 installment loan with a duration of several months when borrowing over $1,000 (it falls into the installment loan category rather than the payday loan category), Slam Dunk Loans makes it simple. Their easy form takes only a few minutes to complete and you get an approval decision within minutes of submitting it. Once approved, funds get wired straight to your bank account within 24 to 48 hours. It’s amazing – take my word for it. 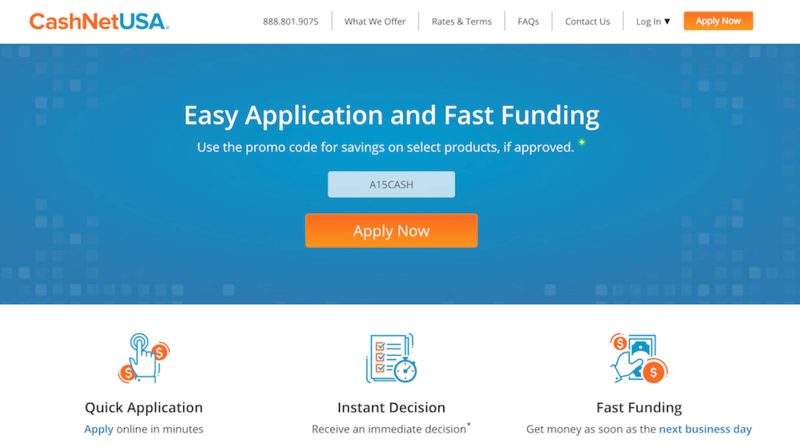 Considered one of the godfathers of online lending gone mainstream, CashNetUSA definitely doesn’t need much of an introduction. They are among the few short-term online lenders to advertisers on television and they definitely take their marketing strategies seriously. Don’t get me wrong though, I’m not saying it’s a bad thing – in fact, CashNetUSA is one of the most popular payday loan sites on the internet. Kudos to them! If you need small loans with a maximum amount of roughly $1,500 and steep APR fees that revolve around the vicinity of 400%, CashNetUSA is for you. This is the ideal lender to choose if you need money fast, but you know you’ll be able to repay it in full within 3 to 4 weeks max. Never use CashNetUSA loans as a long-term solution – you’ll just dig yourself deeper and deeper into debt. I’ve personally done business with ExtraLend at least 3 or 4 times during the past few years. They are a great small-time financial service that provides short-term personal loans up to $3,000. Since they offer personal loans rather than payday loans, you can expect the interest rates to drop significantly when compared to some of the other loans like Big Picture Loans listed here. ExtraLend fees vary greatly though, while they can get extremely low and affordable, they can also end up costing a small fortune – ExtraLend APR fees range between 3.4% to 1,386%. They’ve also been known to have easy approvals, so if you’re suffering from poor credit or a bad credit history, you’re going to want to explore the ExtraLend loan terms and their available options. I decided to go ahead and add a second newbie to this list of loans like Big Picture Loans. It’s a long list so I figure I could encourage some of the up and coming entrepreneurs in the financial industry. Jora Credit is relatively new, but they are taking the world by storm. They offer incredibly affordable 170% to 349% APR fees. 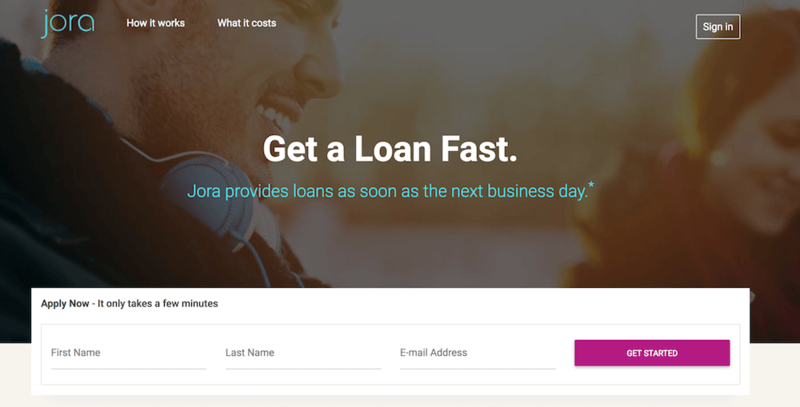 While these are excellent when compared to installment loan fees or even payday loan APR rates, you’ll want to keep in mind that Jora Credit has few approvals. This makes it slightly harder for you to get money from them if you have bad credit. Their loan amounts range from $500 to $2,600 and the maximum duration is 30 months. My good friend Monica Tillman borrow from Jora Credit while writing their full review and she told me nothing but good things about them. While I never borrowed money from them personally, I feel confident when recommending them to family, friends and all of you! What is an APR – How Does It Work For Loans?